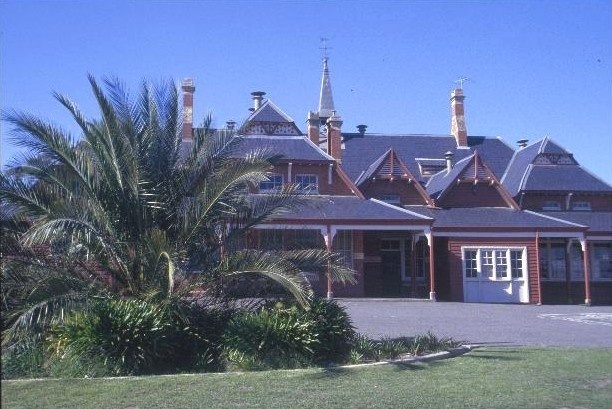 Avoca Primary School was built in 1878 to provide accommodation for the growing number of children in the region. From the 1850s the growth of Avoca was greatly affected by the gold rush and the subsequent establishment of deep lead mines in the vicinity ensured a stable population for a number of years. The primary school was designed by Henry Robert Bastow, the chief architect and surveyor of the Education Department to cater for an expected enrolment of 324 pupils. Located near the original National School of 1856, it was built by Joseph Jarvis for 2,243 pounds. 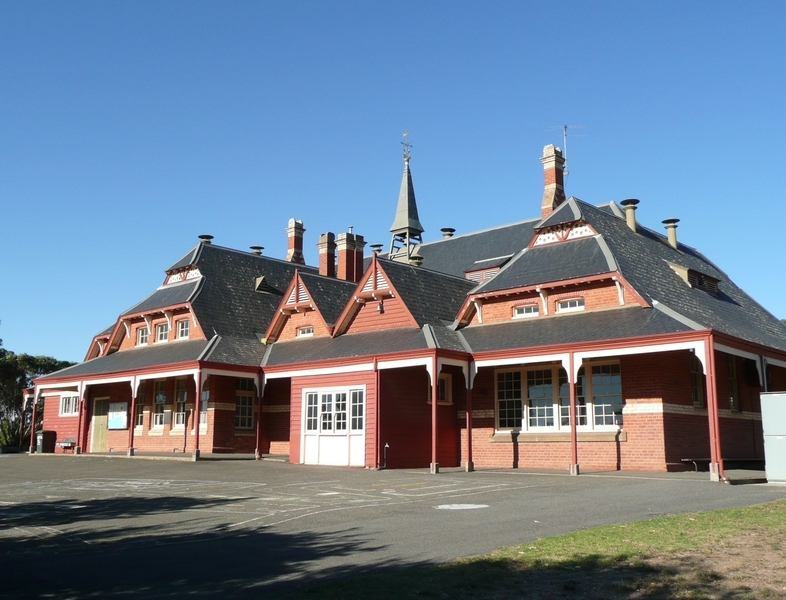 The Avoca School is a single storey, asymmetrical, red brick building with simple cream brick banding and a high pitched, tent-like slate roof. The building is encircled by verandahs, which both shade the walls and provide shelter for the children. These verandahs become extensions of the main roof, but at a lower pitch. 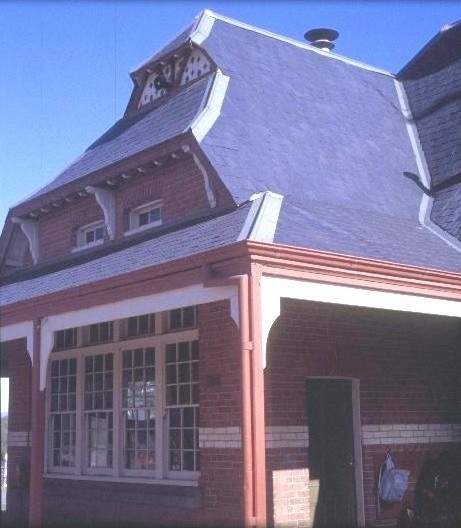 The main hip roof, with central fleche and slender chimneys, is intersected by hip and gable roofs, incorporating jerkin-head roofs, decorative gable ventilators and timber brackets. Some of the windows continue above the verandah and appear as triple lights. Some alterations were made to the building in 1914, including the internal division of two classrooms, the creation of cloakrooms by infilling two sections of the verandah and changes to windows. Otherwise the building remains substantially intact. 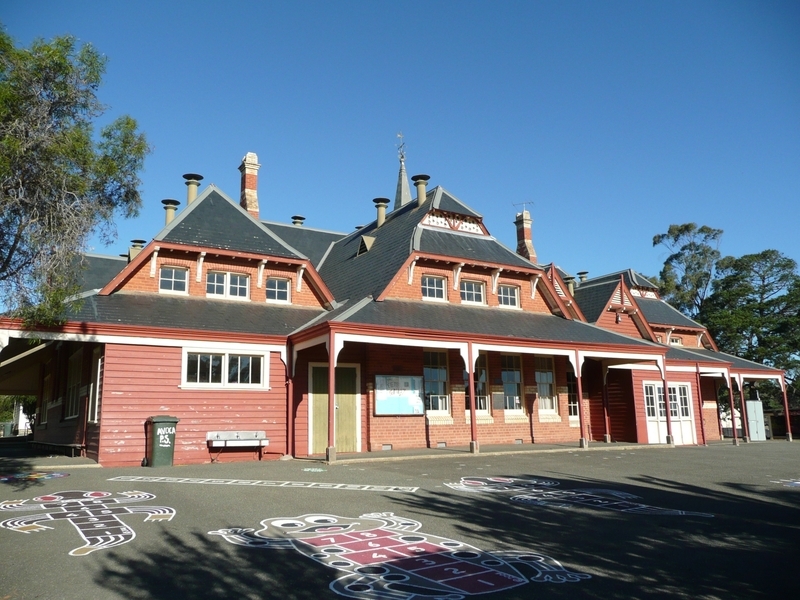 Avoca Primary School is of architectural and historical significance to the State of Victoria. 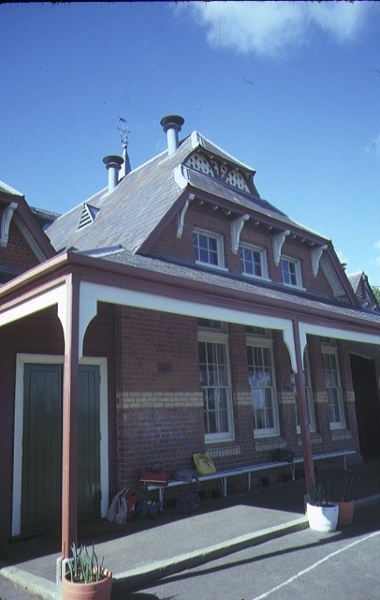 Avoca Primary School is of architectural significance as one of the first school buildings to incorporate verandahs in its design, showing a sensitivity to the Australian climate. The great tent-like form of the roof was highly innovative and the Avoca school was the first to demonstrate this distinctive form of the architect, Henry Bastow, since categorised as the Horsham-Avoca model. 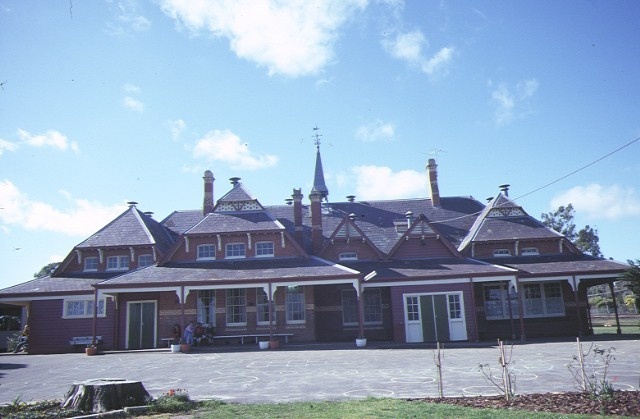 Although Horsham Primary School was designed in 1876, alterations made to the plan in 1880 deviated from the original concept and therefore Avoca most clearly shows Bastow's design intentions. Avoca Primary School is of architectural significance as a precedent for a number of subsequent school buildings in Victoria. About twenty-five schools of this type were subsequently built, varying in size from one room to schools accommodating about 500 pupils. The last of this type was Swan Hill Primary School designed in 1901. Many variations occurred, including the exclusion of verandahs in full or part, but such elements as wide eaves, high triple lights and auxilary skillions were retained. 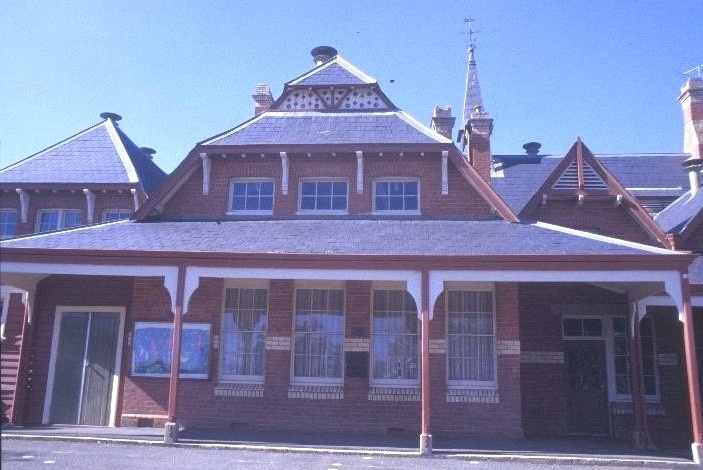 Avoca Primary School is of historical significance as an important landmark in the town, which reflects the growth that occurred in the region during the gold rush period. Primary School No. 4, Barnett Street, Avoca.